-KI is seven times the size of Singapore at 4400km2. At its narrowest point it’s just 900m wide. Not just kangaroos either – Vivonne Bay Lodge, Kangaroo Island. -Flinders Chase National Park was established in 1919, “as a bit of a sanctuary for those suffering from ‘brain fag’”, according to the park’s founding father Samuel Dixon. -The Kangaroos on KI are slightly different from the mainland ones. They have longer fur and are darker in colour. -The Remarkable Rocks sit on Kirkpatrick Point, named after an 1899 shipwreck survivor. The term is from an original chart that described some “remarkable rocks”. -There have been more than 80 shipwrecks off KI since records began in 1847. The last of its three lighthouses (Cape Borda, Cape du Couedic and Cape Willoughby) was built in 1909 but at least 19 ships have been wrecked since, the latest in 2008. -Tate’s grass trees, known as yaccas in SA, grow 0.5 to 2.5mm a year. Until 1997 their red resin was harvested to make a gum used in fireworks. 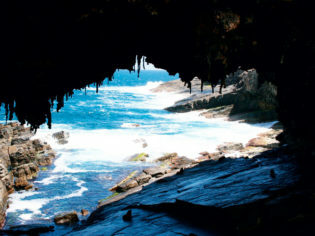 -What look like stalactites at Admirals Arch are in fact fossilised roots. Sleeping in the bush (if the bush had a 1000-threadcount), Southern Ocean Lodge, Kangaroo Island. -The Ligurian bees on KI are the world’s last pure population. KI was the world’s first bee sanctuary, established in 1885. -KI should be known as I’Île Decrès, as French explorer Boudin published the first map of the island in 1811 – three years before Flinders. Kangaroo Island, sweeping views matched by the delicious produce. -American River is on a bay, not a river. thanks this information will help me for my project. Kangaroo Island is the 3rd least populated island on earth after Greenland and the Falkland Islands, with less than one person per sq km. It’s natural beauty is truly unique, a place where the unusual is breathtaking and memorable. The clear sky at night will make you feel closer to the universe. Pelican’s will walk up to you on the beaches, looking for a feed, but your ideal opportunity for a photo session begins. An early morning walk on the towns outskirts will have you face to face with kangaroos feeding on road and track verges. If you have the ability to take a boat tour, be amazed at the crystal clear waters with the bonus of dolphin’s and seal’s wanting to ‘guide’ your boat. 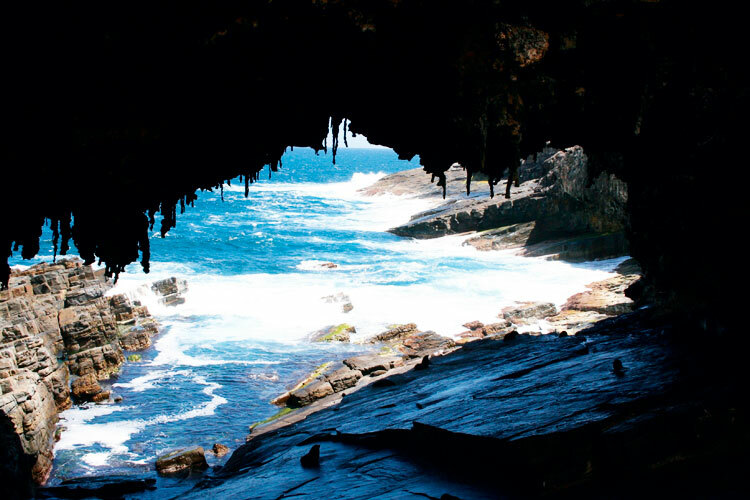 At the end of your stay, be prepared to seriously consider Kangaroo Island as your next place of residence, as many before you have. I would like to know if this fact is really true; KI should be known as I’Île Decrès, as French explorer Boudin published the first map of the island in 1811 – three years before Flinders. I have been researching it and have only found that Mathew Flinders discovered KI just before the french captain, after that a american captain Pemberton found KI and named american river.